Just launched Tenor (10.or) smartphone brand exclusively on Amazon India built using inputs from hundreds of customer reviews will be on sale from 14th September, 11 AM. Smartphone has loaded with multiple exciting offers by keeping in mind every single perspective and need of users. 10.or is excited to present you the first super Smartphone of era, Inspired by the fluidity and connectivity of the two most important numbers – zero and one. An exciting new smartphone like never before and witness the evolution of smartphone technology shaped from the core philosophy of using elementary building blocks to create something new and exciting. This elegantly designed phone has a great specifications which super leverage to meet man’s super imagination. 5.5” Full HD screen will help an user to feel for a bigger, better viewing experience, a 4000 mAH battery to last you through two days of regular use, and a SnapdragonTM 430 octa-core processor with 2 GB/3 GB RAM for superfast performance. The 16 GB/32 GB of internal memory is expandable to 128 GB via a dedicated memory slot so that you can carry your collection of music and photographs with you. 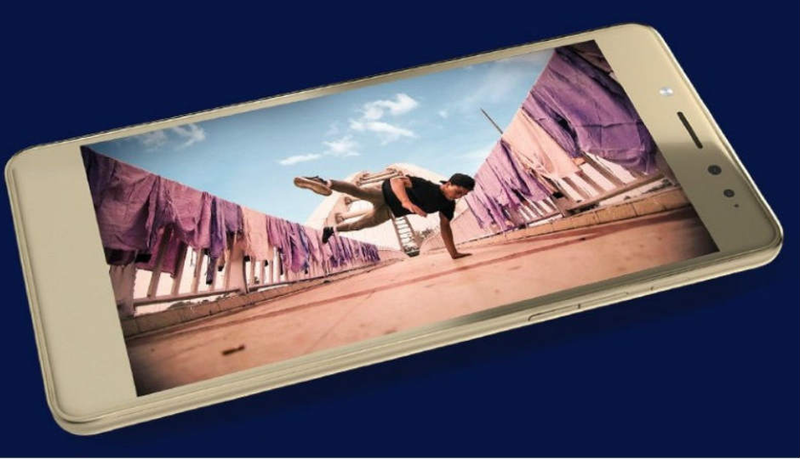 The 13 MP back camera and 5 MP front camera with flash lets you capture the great moments around you. The phone will be available in two variants of color – Aim Gold and Beyond Black. Heavily loaded and elegantly designed smartphone 10.or E has exciting price and multiple launch offers. Amazon has declared to giveaway idea 4G sim card along with 64 GB Flat 4G data with unlimited calls with validity of 56 days at ₹ 343 only. Apart from this consumers are going to get 3 best selling eBooks worth ₹ 250 absolutely free, which can be read on Kindle tablet as well as on Kindle app. “Know more, no less”, You can get an exciting Exchange offer on any smartphone of ₹ 1,000. The best part of their launch offer is No cost EMI which can be availed for 3/6/9/12 months. For any customer support, you may dial on 1800 121 4984 also you may shoot an email at support@10or.com. From here, it can be predicted that 10.or ensuring their users for a better flawless customer support. Get in touch for more information on 10.or.